From elementary schools to psychotherapy offices, mindfulness meditation is an increasingly mainstream practice. At the same time, trauma remains a fact of life: the majority of us will experience a traumatic event in our lifetime, and up to 20% of us will develop posttraumatic stress. This means that anywhere mindfulness is being practiced, someone in the room is likely to be struggling with trauma. At first glance, this appears to be a good thing: trauma creates stress, and mindfulness is a proven tool for reducing it. But the reality is not so simple. Drawing on a decade of research and clinical experience, psychotherapist and educator David Treleaven shows that mindfulness meditation―practiced without an awareness of trauma―can exacerbate symptoms of traumatic stress. Instructed to pay close, sustained attention to their inner world, survivors can experience flashbacks, dissociation, and even retraumatization. This raises a crucial question for mindfulness teachers, trauma professionals, and survivors everywhere: How can we minimize the potential dangers of mindfulness for survivors while leveraging its powerful benefits? Trauma-Sensitive Mindfulness offers answers to this question. Part I provides an insightful and concise review of the histories of mindfulness and trauma, including the way modern neuroscience is shaping our understanding of both. Through grounded scholarship and wide-ranging case examples, Treleaven illustrates the ways mindfulness can help―or hinder―trauma recovery. Part II distills these insights into five key principles for trauma-sensitive mindfulness. Covering the role of attention, arousal, relationship, dissociation, and social context within trauma-informed practice, Treleaven offers 36 specific modifications designed to support survivors’ safety and stability. The result is a groundbreaking and practical approach that empowers those looking to practice mindfulness in a safe, transformative way. 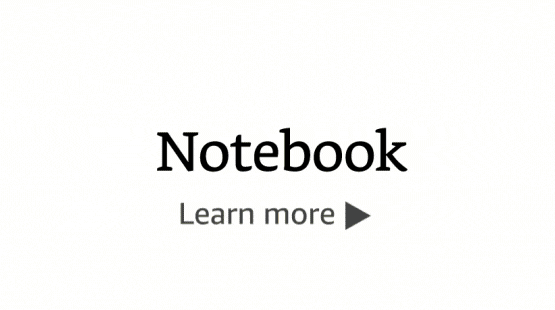 Start reading Trauma-Sensitive Mindfulness on your Kindle in under a minute. 3.0 out of 5 starsNot enough focus on Complex PTSD and emotional flashbacks. A lot of good information, but not enough that is specific to those who suffer from emotional flashbacks and C-PTSD only. I’m left with a lot of assumptions about how the concepts apply to less obvious symptoms, including disassociation and trauma that is formed over a long period of time through repeated events. In other words, I’d like to have heard more about meditation and its impact on trauma that isn’t necessarily tied to one or many very specific, clear-cut events. This is an imperative read for anyone serious about teaching or using mindfulness in an intensive and healing way. There are so many of us who have waited for this contribution to understanding how mindfulness practice interacts in many complex ways with trauma. David Treleaven's book is a cautionary tale about the use of mindfulness only as a technique and not embedded in a way of relating to a person in their complete story and their particularity. It offers both deep and lucid explication of trauma and mindfulness and practical guidance on how to integrate the two--where they are complementary and where adjustments need to be made for them to fit together effectively. Too many of us have seen, in other students' practice and our own, the best intentions by teachers not including the reality of the nervous system on the cushion. Immobility too often can be misinterpreted as stillness. Treleaven teaches us how they are not the same, in fact they are opposites. In addition, Treleaven's work gathers in one place the theory and practices of working with trauma and mindfulness--and working with trauma mindfully. What is "dissociation"? What are its causes and symptoms? What do we do with it, our own or others', once we recognize and understand it? How can mindfulness practice be adjusted to heal and not trigger dissociation? All these questions are answered in theory, case studies, and practical guidance. This is just one moment of traumatic response that Trauma-Sensitive Mindfulness lays out for the reader. This is a beautiful book with the beautiful intention of gently correcting one-sided views, informing, and, above all, leading the teacher and practitioner alike toward resilience and healing. Anyone who reads this will learn a lot, feel seen, and say, "finally, the fuller picture of a full life." 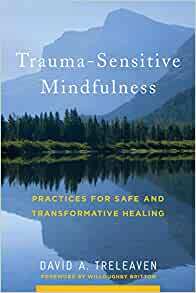 Trauma-Sensitive Mindfulness, is a must-read for anyone who has suffered trauma, witnessed trauma, knows someone who has experienced trauma, and most especially those who work with traumatized individuals. A much needed book that finally speaks to the social constructs of trauma such as racism, sexism, etc. On almost every page I am yelling YES! I taught "trauma sensitive yoga" at a domestic violence shelter to Hispanic women long before trauma sensitive yoga became a "thing." I've been teaching for 17 years and for 10 years studied in India in the Krishnamacharya Yoga tradition. I did the TSY training at the Trauma Institute in 2011 and I questioned whether instructing trauma survivors to sit in mindfulness was actually a good thing for ALL trauma survivors. However, I never said anything in class because I did not want to sound like a know-it-all since I do not have any clinical psych training, I'm just a yoga teacher. While what I learned in that training about the physiology of trauma (brain anatomy) was helpful, the practice itself (mindful yoga + concentrating on the breath) was nothing different from how I already taught, i.e., that yoga is not one size fits all and from a Buddhist perspective, which is what this author speaks to (the author speaks to the Buddhist foundations of mindfulness.) Also, the training I did and subsequent books I've read on this subject never addressed the social construct of trauma such as racism, sexism, etc. I would absolutely recommend this book as a starting point in trauma sensitive awareness for therapists and yoga teachers. As a mindfulness based program teacher, I feel Trauma-Sensitive Mindfulness is a must-read for anyone who teaches mindfulness, and would suggest that those that teach other meditation and yoga classes also read this book - whether they knowingly or not work with trauma survivors! The book is easy to follow, contains very useful research and experience backed information and uses patient/client vignettes to emphasize many important points. I also found the suggests made on how to modify mindfulness practices and what to look for in a participant that might be experiencing re-traumatization in a class very useful (and relatively straight forwards). This book can also be quite beneficial for anyone who has suffered trauma or witnessed trauma, that is working participating in mindfulness, meditation &/or yoga classes so that they may be able to know how to modify or remove themselves from a class or teacher.